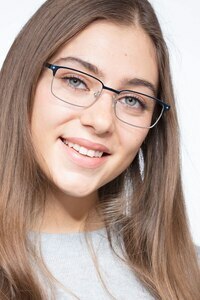 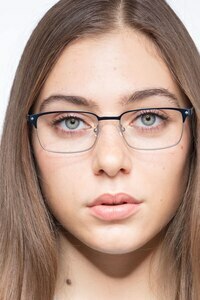 Inject some contemporary French style to your look with these nautical Normandy eyeglasses. 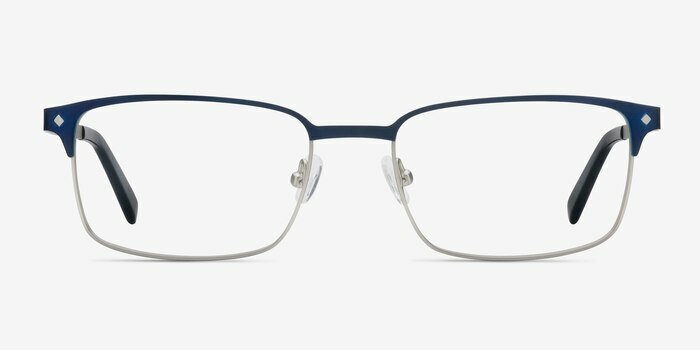 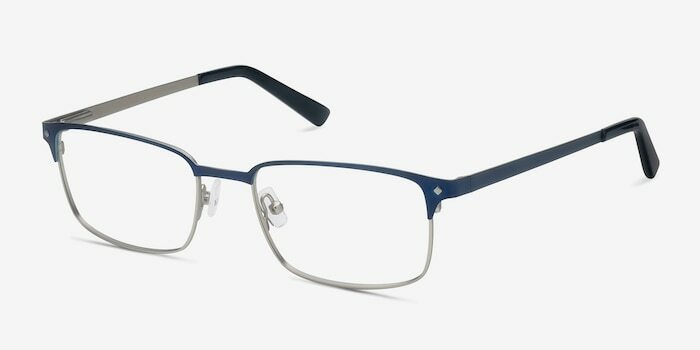 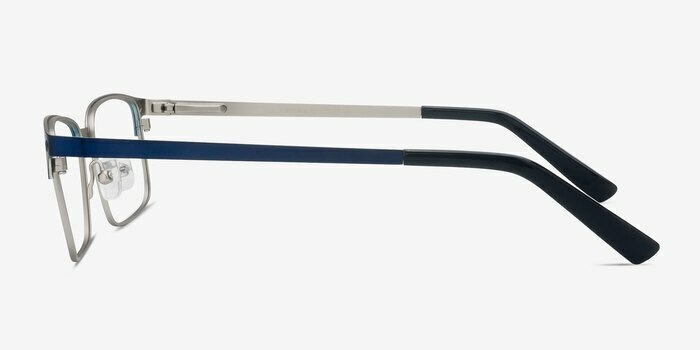 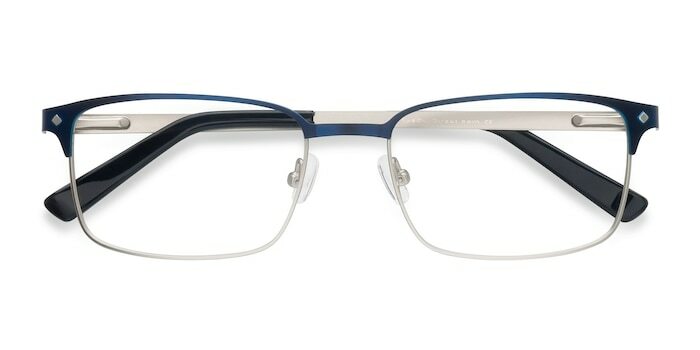 This frame combines a modern ocean-colored navy and silver design with slimline rectangular lenses, broad temples, and diamond shaped stud accents. 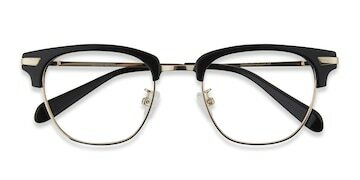 Made with top-quality metal and spring hinges, Normandy is comfortable and durable. 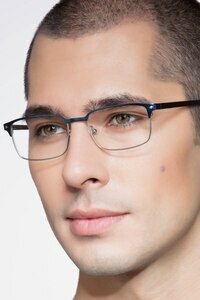 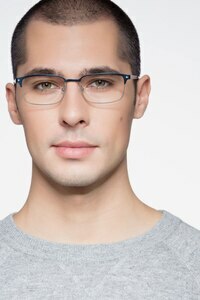 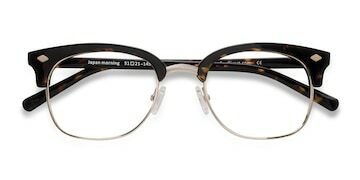 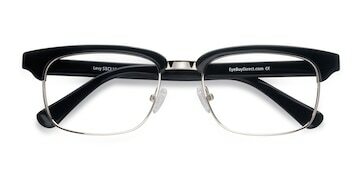 This 21st century frame is the perfect style update for both men and women.